The quality of a Carlisle floor is matched only by that of the customer experience. It was an absolute pleasure to work with your company on our project. The flooring is absolutely stunning and your staff members were such a dream. They answered all of our questions, sent us detailed information to guide us through the install, and kept me updated on the status of our order without me asking. Thank you so much — would love to be able to work together again!!! I have worked with Carlisle Wide Plank Floors ... for almost 10 years. It has been a pleasure to work with such a professional organization. I work on very large homes with very discriminating clients who look for the unusual and most beautiful floors that we can install. If every vendor we worked with is as wonderful as everyone at Carlisle, we would be in heaven. 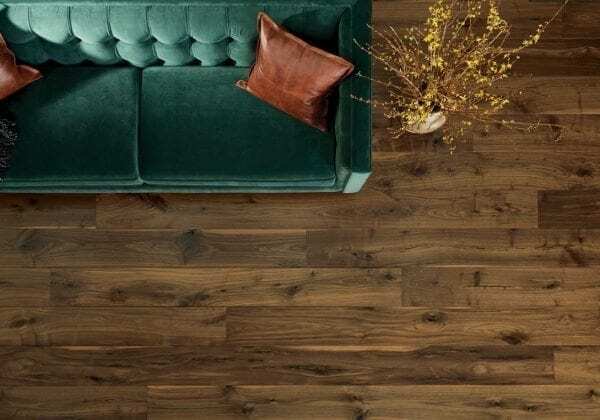 If you are contemplating using wood for your next flooring project and don’t want to settle for anything just ordinary ... something that will have your guests stumbling into each other at your next dinner party because they’re so infatuated with it, this is your kind of floor. Nahem described the renovation of his beach house as a "fun adventure." The open concept home flows freely from room to room and boasts distinctive pieces that span the generations. Set on the banks of Lake Washington, the Pepper residence reflects a harmony of traditional and contemporary style. The homeowners favored an open concept living space, light colors and European influences. There are many varieties of engineered wood flooring on the market and they vary a great deal in quality and durability. We've developed Custom Coat™ Prefinished Floors that combine the convenience and affordability of prefinished hardwood flooring with the beauty and durability of standard hardwood flooring. Each board in a reclaimed wood floor retains the character of the original structure and adds a sense of warmth and history to any space.